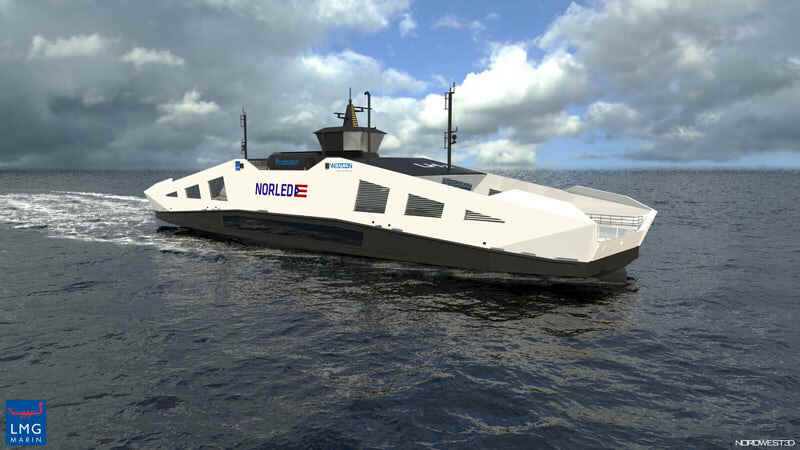 At the end of February, Norled revealed the first visuals of the hydrogen-powered ferry, designed by LMG Marin, and with contributions from fellow cluster partners Westcon Power & Automation and Prototech. Topside location of the hydrogen tanks and system. In case of a leakage, gas will emit into fresh air. This was the best solution for a no-risk system. The port of Hjelmeland will have a storage and filling system for liquid hydrogen. Every third week the vessel will be fuelled with four tonnes of hydrogen. As from 2023 locally produced, green hydrogen will be available. Shipyard to be selected in March. Two ships for route Hjelmeland-Nesvik-Skipavik. Both all-electric, one with hydrogen fuel cells for 50% of power.